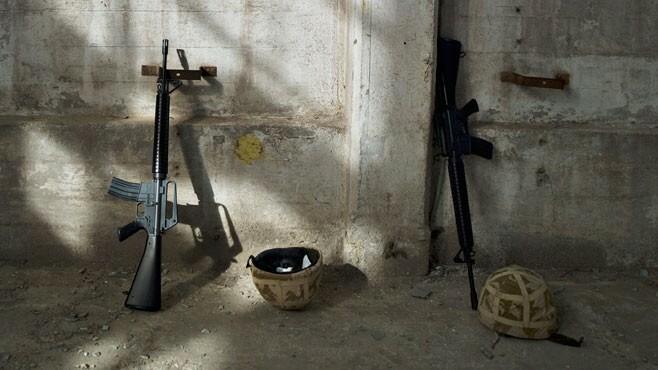 Since the start of the Iraq War in 2003, the rate of Suicide among U.S. Army soldiers has soared, according to a new study from the U.S. Army Public Health Command. "This study does not show that U.S. military operations in Iraq and Afghanistan cause suicide," said Dr. Michelle Chervak, one of the study's authors, a senior epidemiologist at the U.S. Army Public Health Command. "This study does suggest that an Army engaged in prolonged combat operations is a population under stress, and that mental health conditions and suicide can be expected to increase under these circumstances." The association between mental health woes and the risk of suicide is well known to mental health professionals, but Chervak said the purpose of the study was to validate mental health diagnoses as a major risk factor for the increasing number of suicides in the Army. Studies have shown rising rates of mental illness among U.S. military service members in recent years. Dr. Amir Afkhami, a professor of psychiatry and global health at George Washington University, said it's uncertain whether or not there are truly more cases of mental illness among troops or if the military is simply more attuned to recognizing and reporting these issues. "But the higher number of suicides is a rock-solid indicator that we do have a problem," he said. "There's no question about it." Each branch of the military has suicide prevention programs in place. But the study's authors say there is a great need for more research and ongoing evaluation of these programs. Chervak said the current study provides a starting place for the Army to rethink its current approach to helping soldiers in need. "By establishing that soldiers who are diagnosed with a mental health disorder are at greater risk of suicide, we then have a place to target prevention strategies," Chervak said. Afkhami said reaching soldiers who are at risk of suicide means thinking creatively about how to get help to the soldiers who need it, including those returning from combat who bear emotional and psychological scars and have trouble readjusting to civilian life. "While it's important to be focused on what's going on now, especially with the drawdown of troops, we really have to think about next steps, and what do we do for our troops once they return back home," he said.